Dhoni, battling back pain, took the match into the last over with a blistering 79 off 44 balls. 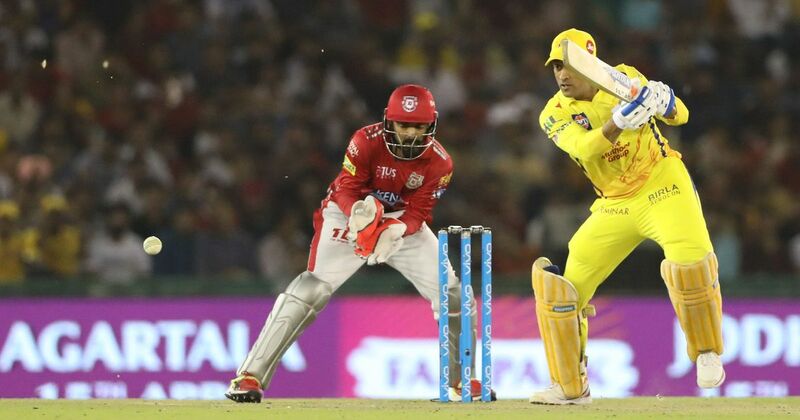 A grimacing MS Dhoni pulled off a near impossible win for Chennai Super Kings before Kings XI Punjab scraped through with a dramatic four-run victory in the Indian Premier League in Mohali on Sunday. Dhoni, battling back pain, took the match into the last over with a blistering 79 off 44 balls. However, his valiant effort did not prove to be enough as CSK ended at 193 for five in response to KXIP’s 197 for seven at the PCA Stadium. With 17 needing off the final over, pacer Mohit Sharma did the job for KXIP, who recorded their second win in three games this season. It was the first loss of the season for the Dhoni-led team. Dhoni’s exhibition of powerful hitting followed the Chris Gayle show. The Jamaican showed that he was far from being a spent force as his second fastest fifty in the IPL helped KXIP put up a healthy total. Gayle weaved a 96-run opening partnership alongside Rahul setting up the platform for a big score. The West Indies raced to his half-century off 22 balls, a shade slower than his 17 ball fifty against Pune in 2013. Two overs later Gayle too departed, handing over a simple catch to Imran Tahir at short fine leg off Shane Watson’s bowling. 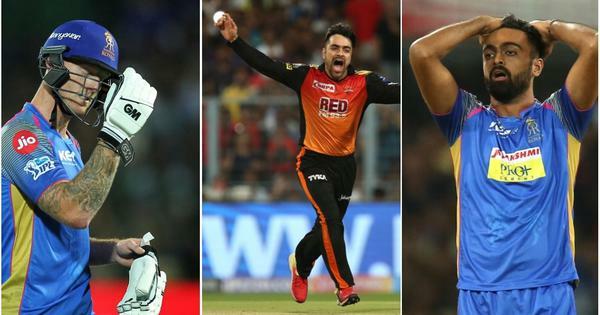 Tahir dealt a double blow in innings’ 16th over removing a set Agarwal and Aaron Finch, who was out for a first-ball duck for the second game in a row. 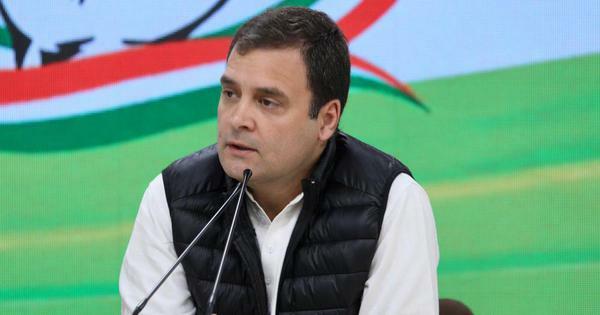 The Punjab openers made their intentions clear right from the first over when Rahul dispatched medium pacer Deepak Chahar for two boundaries. Punjab raced to 50 in just 30 balls and there was no respite in sight for Dhoni’s bowlers.